Apply now and if selected, they will deliver a Chat Pack right to your doorstep. 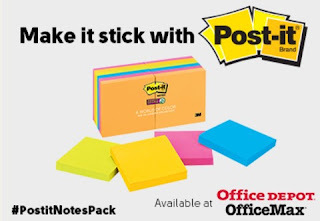 You don't have to throw a party After you try Post-it Super Sticky Notes, chat about them, share your opinions and post a review on the site. That's it! This Chatterbox is only open to residents of the US.